I think I mentioned it before, but Hong Kong is a food frustrating city to me. I know there’s good food out there, but from my experience it’s not that easy to find it. Granted, because I was in Hong Kong to compete in a dragon boat festival, I was more careful not to put just anything in my mouth on this trip as I didn’t want to end up with “bad stomach”. When I researched online about places to go, people kept mentioning the same high-end type places and I couldn’t really find the true “gems”. So, I had to rely on my friend Henry who lives in Hong Kong for suggestions. Henry, who was probably more concerned than I about me getting sick before the festival, was careful in directing me to clean establishments which ended up mostly being in hotels or malls. I guess not a bad thing, because I ended up loving Crystal Jade La Mian Xiao Long Bao so much I went twice on my trip. Located in the Harbour City Mall in Tsim Sha Tsui, Crystal Jade is really accessible. There was a line both times I went, but moved quickly. On my first visit I was lucky enough to go with my “work lunch partner” who was also in Hong Kong paddling for another team. 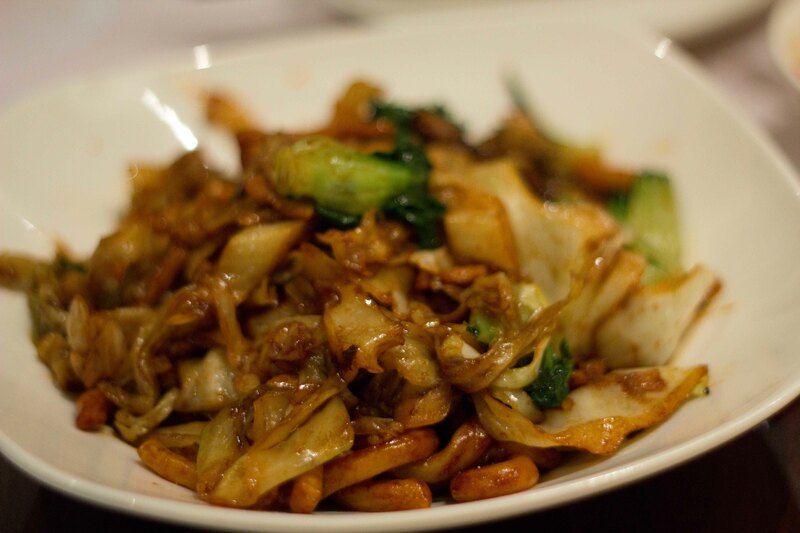 We wanted to compare the food of Hong Kong to home, so we ordered our usuals from a vast menu of options. Because there were only two of us, I couldn’t try out as much as I wanted, but it was a good start. 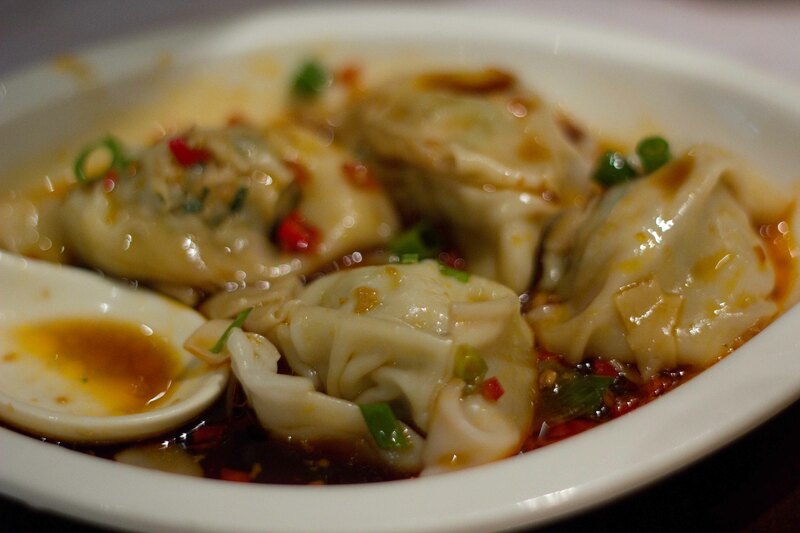 Spicy wontons – the wrapper so delicately held the moist filling that held up to the very spicy chili sauce. Better than chili wontons in Vancouver but not the best I’ve had, (in HNL surprisingly). La Mian noodles with Chinese Cabbage and pork – the noodles were great and the overall dish was easy to eat, but I think that Peaceful Noodle House in Vancouver’s noodles are just as good. 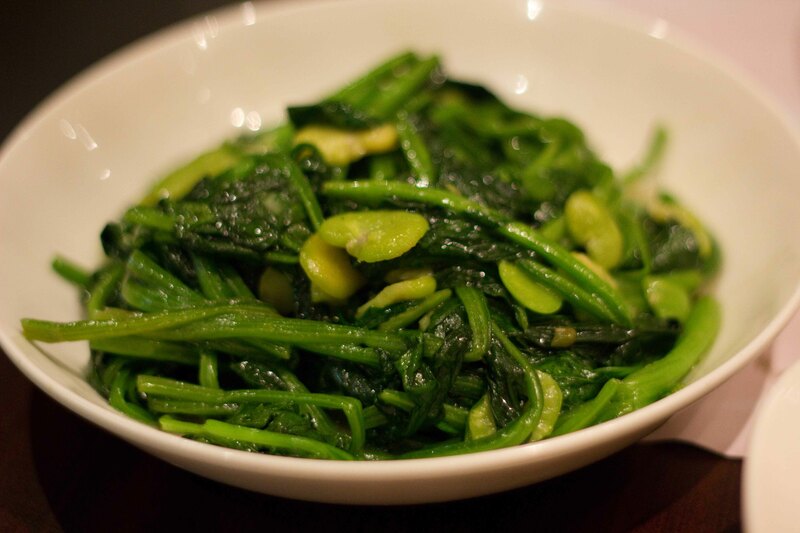 Chinese spinach and fava beans sautéed in garlic – so happy to have ordered green vegetables. Yummy but very salty! 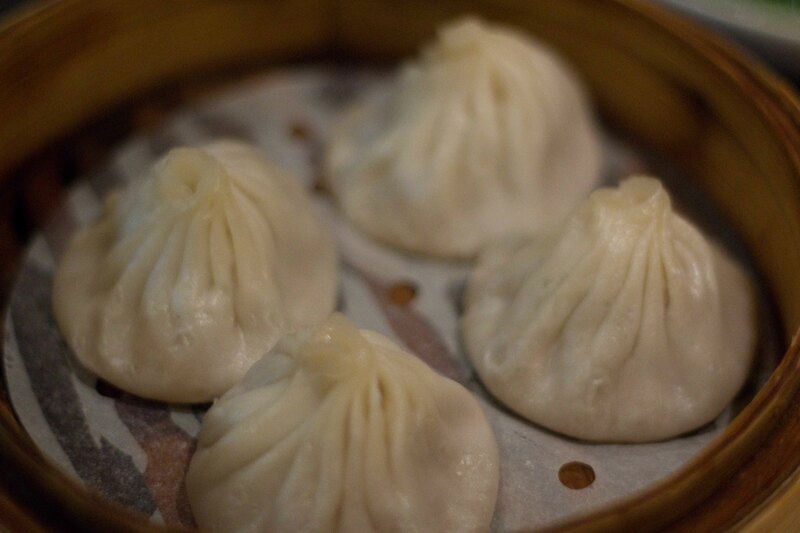 Xiao Long Bao – better than any XLB than I’ve had in Vancouver, although not as good as the 1st one I tried in HK. Verdict from visit 1? The food was delicious, although only slightly better than similar food we’d get at home. A few nights later, with another group of friends, we ended up at Crystal Jade again. This time, I only had my iPhone to take photos, so although the food was just as wonderful, my photos are not. 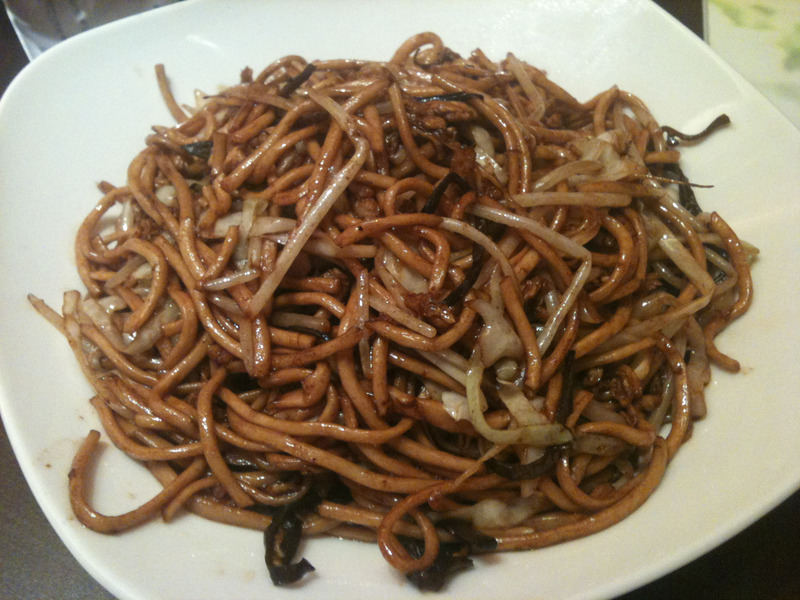 La Mian noodles with mushrooms and shredded pork. 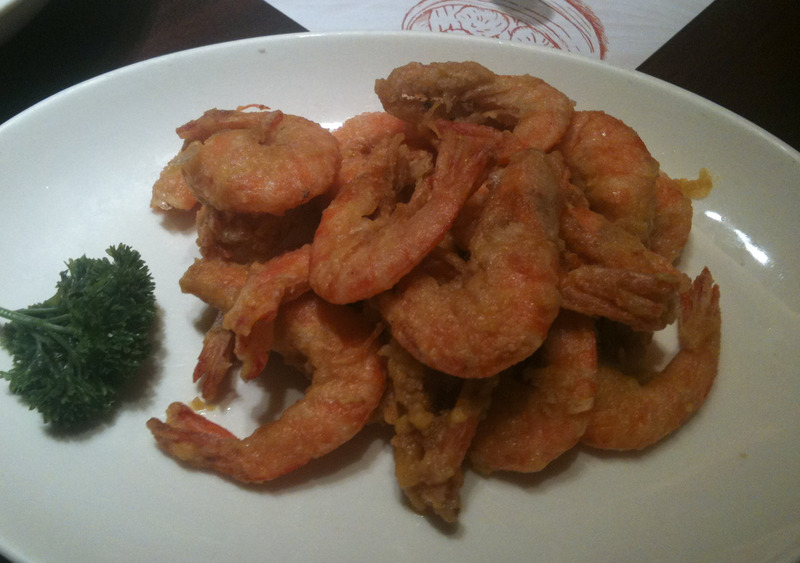 Fried shrimp with shells coated in egg yolk batter – I wasn’t thrilled with the yolky-ness of this. Broccoli and cauliflower in dried scallop sauce – surprisingly light and delicious. 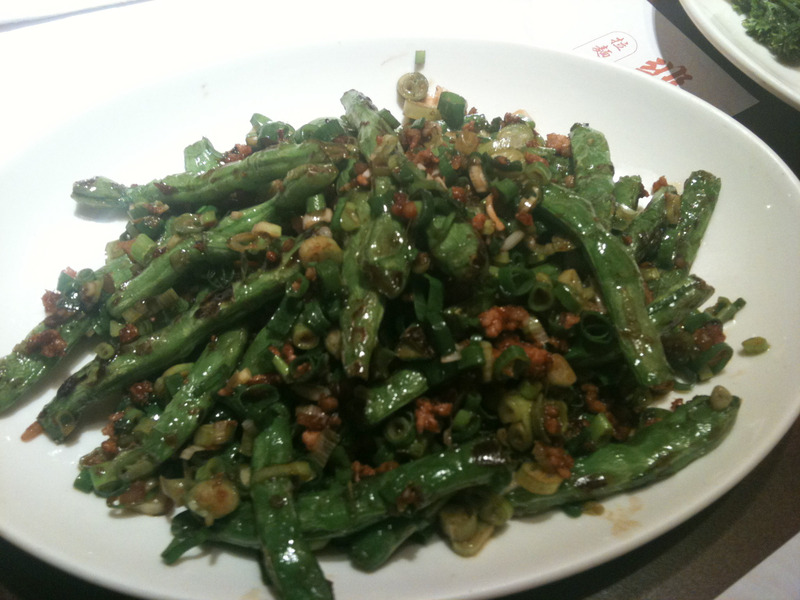 Spicy green beans with pork and green onions – my favorite dish of the night, (then again it’s an all-time favourite order of mine). 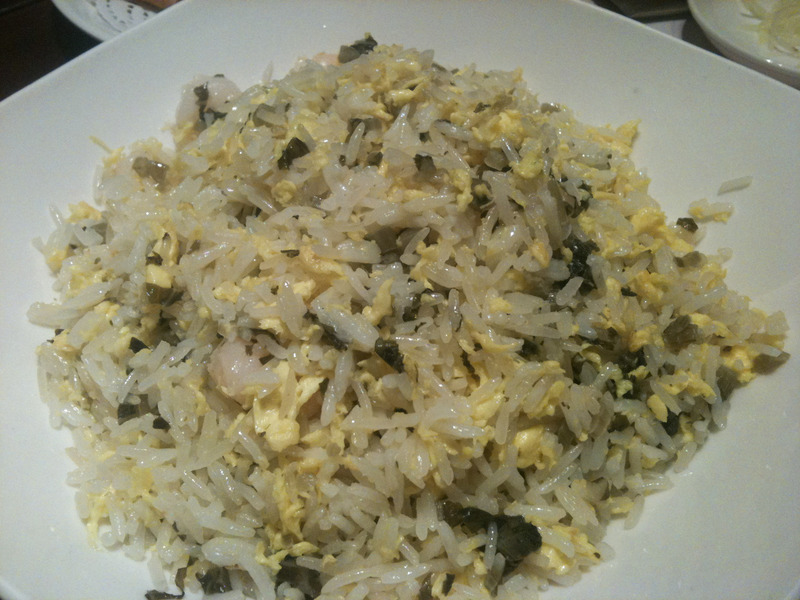 Egg white and pickled vegetable fried rice – as “fillers” go, this one was really good. 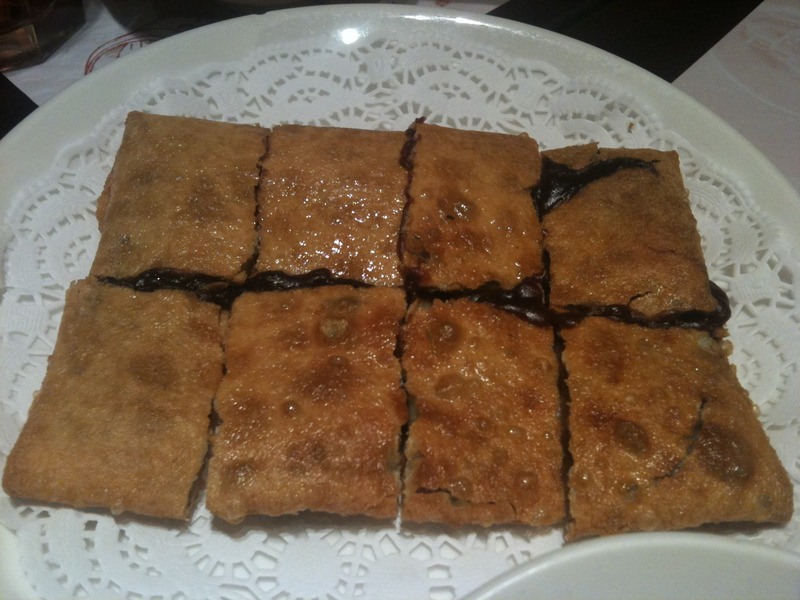 Fried pancake filled with red bean paste. A popular dessert, but way too sweet for me. Verdict from visit 2? 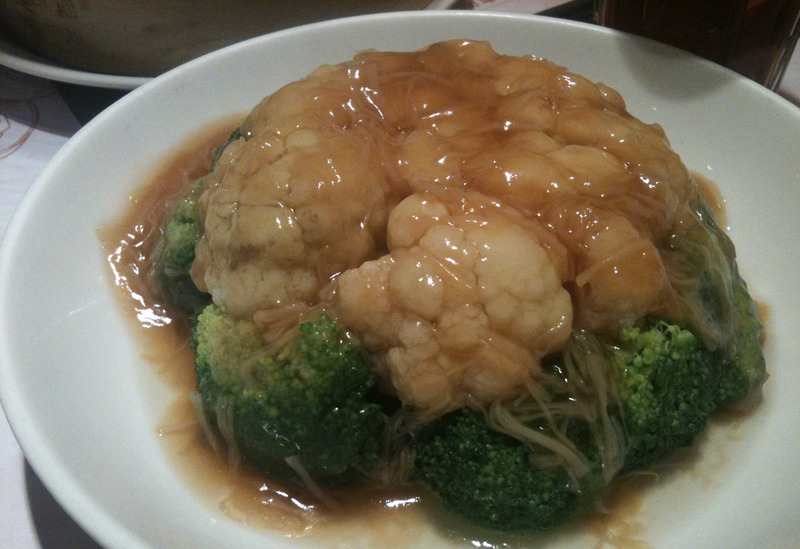 More convinced that the Chinese food we get in Vancouver is pretty good. The noodles and dumplings here at Crystal Jade were better than I’ve had at home, but not so much so that I’ll feel like I’m missing out.